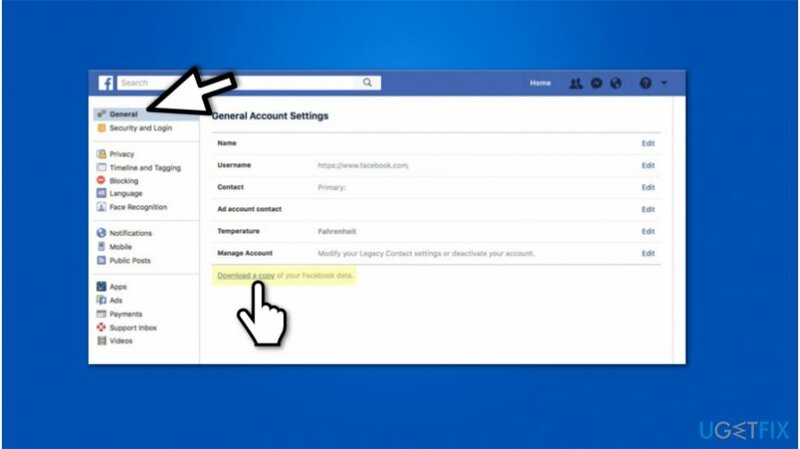 How to download Facebook data? 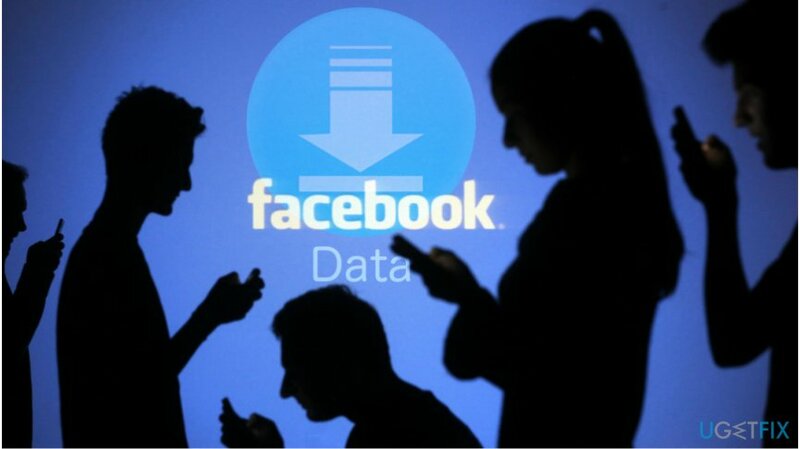 Home »	Optimize » How to download Facebook data? Issue: How to download Facebook data? After finding that Facebook not only collects but also shares details about its users, I would like to know what kind of information does it have about me. Could you show me how to download Facebook data? Facebook is a social media platform widely used by more than 1 billion people. Unfortunately, once it became public that Cambridge Analytica shared information of 87 million users, people no longer feel safe. Since many people have used Facebook from the early teens, it is impossible to remember how much details you have revealed about yourself. However, this data that Facebook gathers is not the only one. Sadly, it also collects information that you provide while using its services. These details are far more private and can not only identify you but also provide sensitive information about your personal life. We strongly advise you to be cautious of what information you directly submit to your social media platforms. 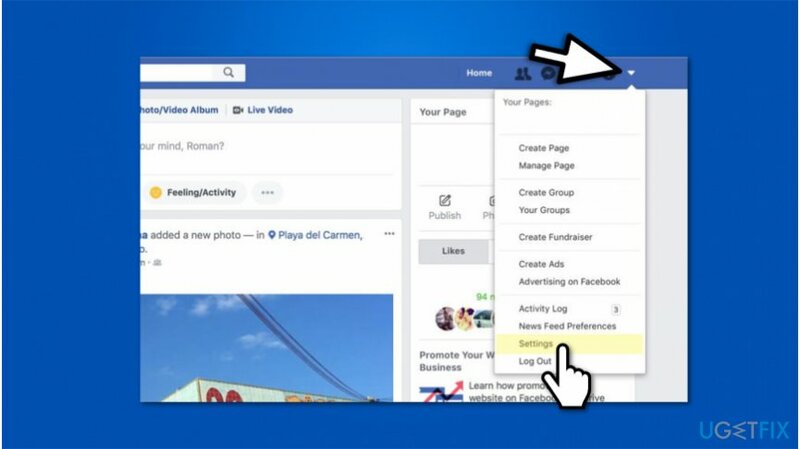 Note that, you can also modify the privacy settings to make sure that others won't see private details. Although, the smartest move would be not to upload such information. If you wonder what data Facebook has on you or you want to download it for analysis, there is a way how you can get it done quickly. You will find instructions presented below which are designed to show quick steps. However, it is essential that you would follow them attentively if you want to succeed. To restore your computer's peak performance, you have to purchase licensed version of Reimage Reimage repair software. 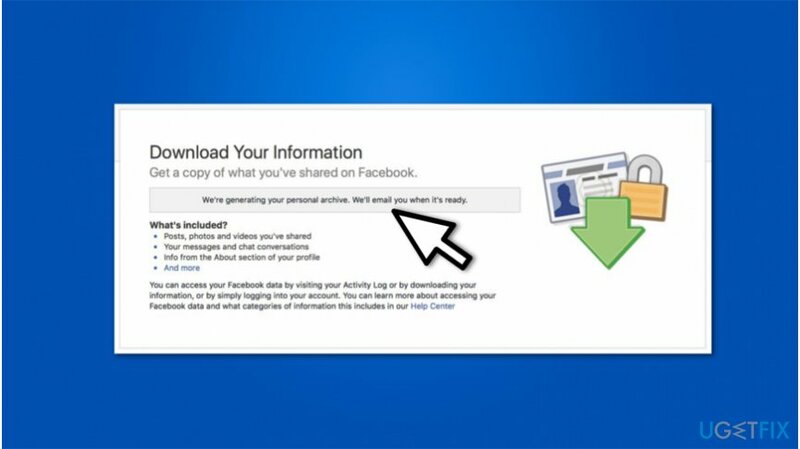 Facebook data download guidelines are presented below. 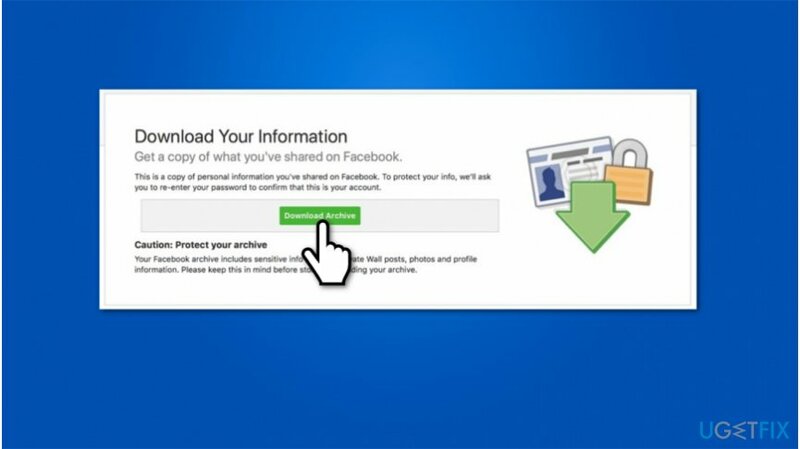 Although, if you cannot download the file, make sure that your computer and account is not infected with a Facebook virus. For that, we highly recommend installing a professional security tool that would help you protect your computer. Reimage is an excellent pick. Submit Facebook password when asked and wait for the download to begin. If you are not satisfied with Reimage and think that it failed to improve your computer, feel free to contact us! Please, give us all details related to your issue. ^ Olivia Morelli. Cambridge Analytica leaked data of 87m users, Facebook reveals. 2Spyware. Security and Spyware News. ^ Non (Personally Identifiable Information) PII Data. LatentView Analytics. Digital Analytics. ^ IP Adress. Wikipedia. The Free Encyclopedia.